German criminal police tipped off the interior ministry of a potential “terrorist threat in form of a suicide-attack” by Anis Amri nine month before he ploughed a truck into a crowded Berlin Christmas market, Bild am Sonntag reports. The State Criminal Police Office (LKA) in the German state of North Rhine-Westphalia (NRW) apparently shared intelligence (indicating that Amri was plotting a terrorist attack in Germany) with the local federal interior ministry office in Dusseldorf in March 2016 – over half a year before the December attack. In a confidential letter, seen by Bild am Sonntag, police stated that “according to the data available so far, the forecast can be made that Amri poses a terrorist threat in the form of a (suicide) attack,” citing as evidence some messages the future attacker sent in a chat on February 2, which was monitored by law enforcement. According to the LKA, the word is a “metaphor for a suicide attack.” Based on the report, police advised the interior ministry to arrange the deportation of Amri, a Tunisian national, back to his country of origin, which was not ordered. The revelations, if true, will deal another blow to the reputation of local law enforcement, which, despite designating Amri a potential threat to the public back in February 2016 and launching multiple probes, continued to insist that there was not enough compelling evidence to charge him with preparing an act of terrorism, even in its aftermath. “At that time the authorities weren’t aware that Anis Amri will actually commit the attack,” the chief of North Rhine-Westphalia (NRW) state criminal police, Dieter Schuermann, told media in early March. Amri was also the subject of an investigation into duping authorities into receiving welfare benefits, and was suspected of possessing explosives. Upon thorough investigation following the attack, it emerged that Amri, who was once caught by police with fake ID, was in possession of at least 14 identities. In light of the latest disclosure, head of Angela Merkel’s Christian Democratic Union (CDU) party in North Rhine-Westphalia (NRW), Armin Laschet, labelled the head of the state’s interior ministry, Ralf Jaeger, a “security risk for people in whole Germany,” while calling revelations “dramatic.” Even following the attack, Jaeger insisted that the deportation if Anis Amri was not legally achievable. The Tunisian, who managed to escape Germany following the attack, was eventually killed in Milan, Italy in a shootout with police on December 23, after crossing three EU state borders (German, French, and Italian). Four days earlier, he drove a stolen truck into a Christmas market in central Berlin, killing 12 people and injuring 56 others. The attack was subsequently claimed by Islamic State (IS, formerly ISIS, ISIL). 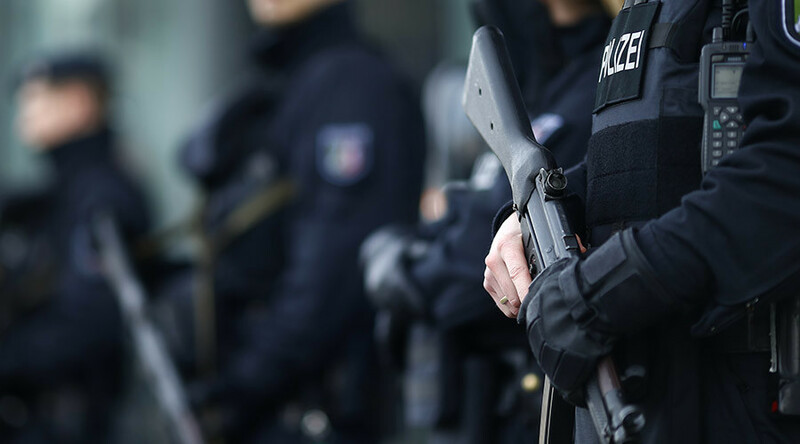 The mosque on Perleberger Strasse in the Moabit district in Berlin, which reportedly played a huge role in Amri’s radicalization, was shut down by the authorities in February, while the offices of its managing organization, Fussilet 33, were raided by police.